ONE of Namibia’s last remaining adult desert-adapted male lions and several of his little cubs have died during an effort to relocate the animals away from the Ugab River where they were one of the biggest attractions for tourists from abroad. Rising numbers of instances of human wildlife conflict due to growing human populations in conservancy areas because of the financial benefits that can be garnered from the utilisation of wild animals through hunting and tourism by the community living in these areas and subsistence farming in areas never before farmed led to the death of Nkosi (XPL 110) and all but one of the young cubs of Missy (XPL 88). According to Izak Smit, who runs the local NGO, Desert Lions Human Relations Aid (DeLHRA), the lions died about two weeks ago after being darted by Dr. Flip Stander for the move to another location in Namibia. Dr. Stander dedicated a large portion of his life to the conservation of specifically desert-adapted lions and recently fitted Nkosi’s pride with tracking collars to prevent human wildlife conflict. It is not yet clear what caused the death of adult lion and several cubs but undue stress caused by continuous human interference is the most likely cause according to Smit. Smit said the special collars can be tracked by satellite and many instances have already occurred where conservationists could intervene before the lions could get too close to human settlements and that the programme was just starting to bear fruit. Smit said both female lions survived the relocation. Cheeky (XPL 111) is pregnant and is about to give birth and Missy (XPL 88) lost all but one of her cubs. Namibia has faced several consecutive years of a punishing drought, creating a “precarious position” for lions, according to Smit. 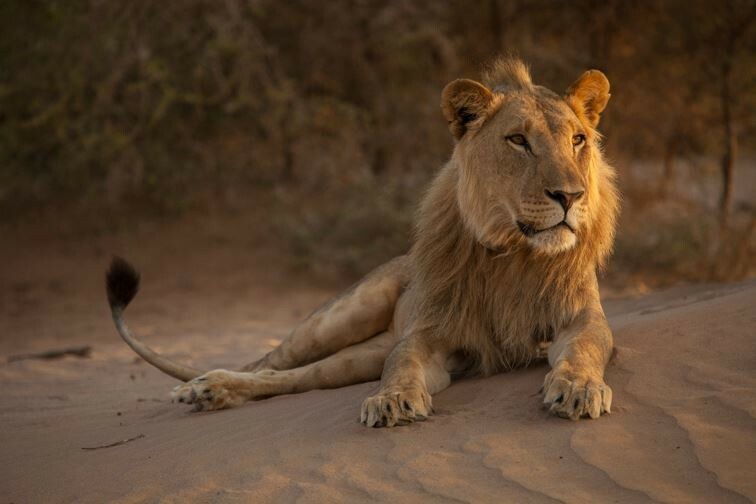 In June of this year, another desert-adapted male lion known as Gretzky and a female broke into a kraal and killed more than a dozen goats and sheep. A few days later, Gretzky killed two donkeys that had gotten out of their kraal. Officials of the Ministry of Environment and Tourism stepped in and Gretzky, a breeding male with a pride, was shot and killed. The crisis facing desert-adapted male lions made international headlines in 2016 when three males were poisoned. The lions were the subject of a popular documentary called, Vanishing Kings: Lions of the Namib. Eventually, all five of the males featured in the documentary were killed.